Looking to up your game at the next party for the family, friends, kids, or grandkids? Fobbles. 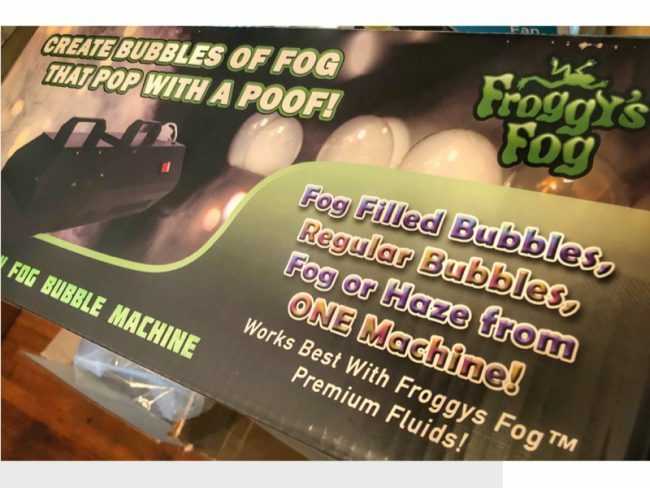 Yes, Fobbles – fog-filled bubbles. 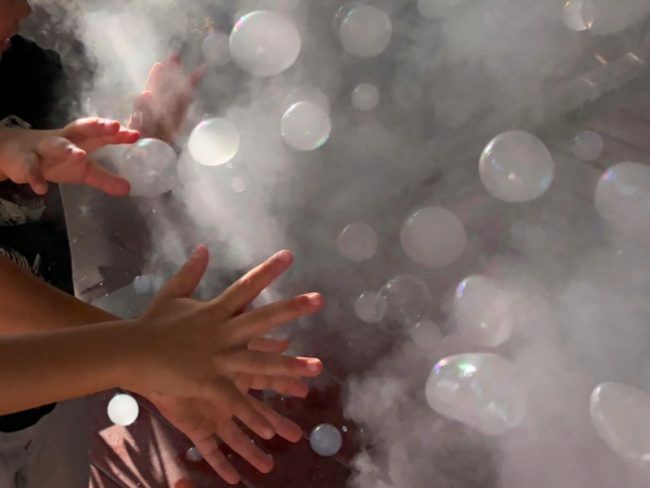 Fobbles is a bubble and fog machine in one and can combine the two that will transform your party into a full-on rave. Fobbles is the brainchild of Froggy’s Fog, the maker of fog, haze, snow, and bubble fluids and equipment. They are launching consumer and professional model Fobbles machines. We recently tested the consumer model and right out of the box were able to really “blow” away the grandkids. And the unit can easily and quickly switch between modes to change up the excitement. Don’t want to babysit the Fobbles machine during the party? No problem, as it features wireless remote control as well. 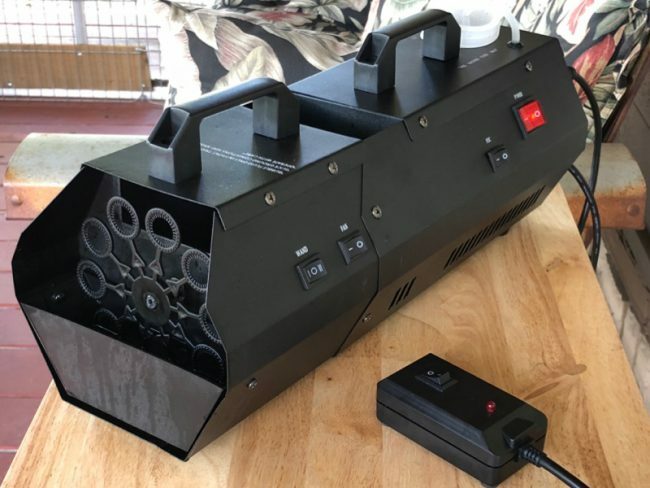 The Fobbles system comes with the main unit, wired remote control switch, wireless remote controller, and fog and bubble fluids in quart or gallon containers. Fill the individual fluid compartments and switch on the Fobbles machine. The fog portion will take only a short time to heat up and then you are ready for action. There are dual handles on the top of the device for easy carrying and maneuverability and the only other requirement is AC power – and a room full of party-ready kids (or adults). 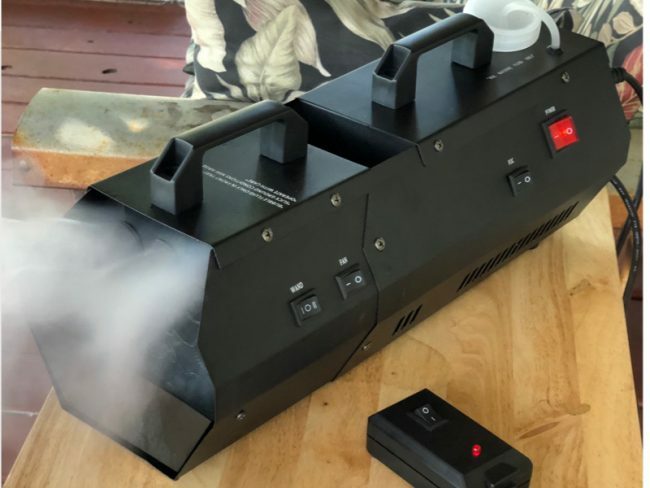 I can see this item as being a hit at wedding receptions and probably a new must-have weapon in any DJ’s arsenal – strobe lights not included. Fobbles is featured on an Indiegogo campaign with the entry consumer contribution at $99. It kicked off last month and will run for about another month. Delivery is estimated for July. Fobbles for the Pros is set for a December release at $449. More information can be found at www.Fobbles.com. Fun with Fobbles! Fobbles is the new life of the party. The chemicals are safe and non-toxic and last quite a long time. We found the unit does heat up a bit with continued use but they did provide a secondary fan to assist in dissipating that heat and the exterior never got too warm for comfort. I am sure this is our new “must play with” item every time the grandkids come over and I even think I saw the boys trying to sneak it into mom and dad’s car last time to take it home with them.